For a moderately sized urban area, the Twin Citiies offers a surprising array of learning and performance opportunities for aspiring musicians, and particularly aspiring jazz musicians. Jazz is really a hard sell. It’s been decades since it could be called America’s “popular” music. And it was never a major subject in public school curricula. In most contexts, jazz was barely a footnote in a general music classroom. Listings of jazz gigs and concerts, if included at all, typically are noted on small-print calendars at the back of the Arts section of the daily paper. Fewer and fewer record labels cater to jazz interests or sign jazz musicians. Even venerable jazz clubs like the Iridium in New York, Yoshi’s in San Francisco, or the Dakota in Minneapolis have expanded their calendars to encompass other genres in order to survive. Yet somehow, professional music schools and universities appear to be thriving with an influx of eager students, many on scholarships, many paying as much as $50,000 per year to pursue their dreams. More and more public and community schools are offering jazz ensemble and big band experiences. Despite the discouraging outlook for careers in jazz performance, despite the often exorbitant costs of private conservatories and even public universities, despite the lack of interest or approval among their peers, a large number of student musicians are seeking the training and experiences that will serve them in clubs, studios and classrooms. Nate Chinen wrote about this phenomenon in the New York Times a couple years ago—the apparent mismatch between the number of students entering college level jazz programs and the prospects for successful careers as jazz artists. But maybe this is not really a mismatch at all. How many eager young athletes attend college on football or basketball scholarships versus the number who find a position on a pro team? How many students in “Communications” or “Marketing” (let alone English or History!) are finding professional level jobs in these fields? Just how impractical is a music education? And particularly a jazz education? 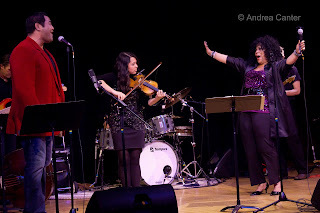 Jazz, after all, is about communication, collaboration, invention—three life skills that would benefit all of us. Can you succeed in jazz music without an understanding of its history? The history of jazz is the history of mankind from the beginning of the 20th century, and the roots of that history extend much farther back in time and throughout a world of cultural traditions. Music is language, and learning language has long been associated with improved brain functioning. And perhaps one ultimate consequence of the proliferation of jazz education programs is the evolution of an audience for the music in coming generations. If more students are exposed to jazz beyond a cursory level, if more adults go into the independent world with a love of the music regardless of their level of skill, and regardless of their positions –or lack of—in music, is it likely that they will minimally attend jazz gigs, vote to support music programs in public schools, buy jazz music (in whatever form future technology takes), and donate to their favorite jazz programs? There are many ways that young artists fuel a future for the music. Locally, jazz programs seem to be increasing at the high school and middle school levels as determined jazz educators inspire students who may have entered the 7th grade band program unaware of Charlie Parker and Miles Davis. 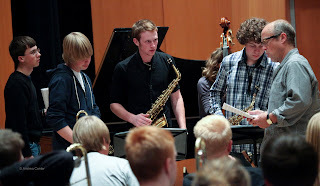 Organizations like the Dakota Foundation for Jazz Education, Twin Cities Jazz Society and Walker West Academy of Music bring established artists into the classroom and bandroom to ignite students’ budding interests in improvisation and composition; these organizations also find opportunities for fledgling bands and combos to perform on club and festival stages. 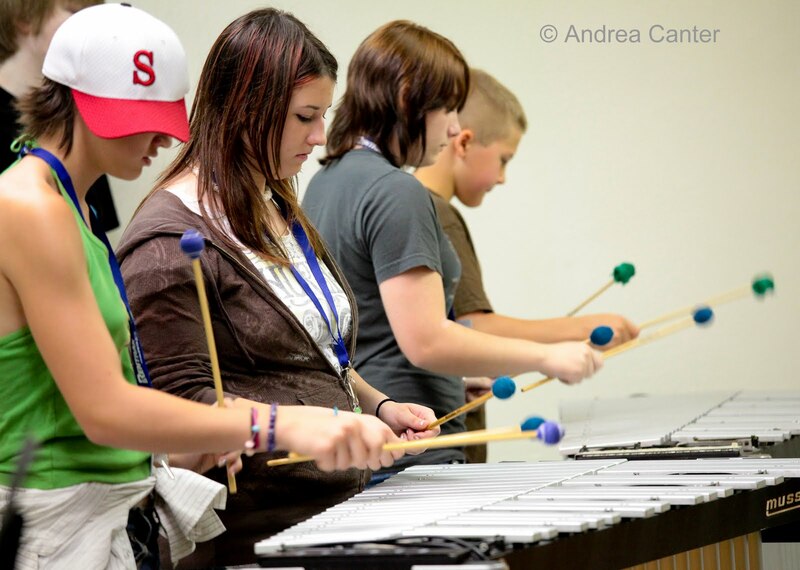 All-star ensembles like the Dakota Combo and Minnesota Youth Jazz Band provide peer role models and opportunities for the most serious students to tackle the most serious repertoire within a compatible peer group, where one does not need to explain why Spalding is at least as important as Bieber. And a new organization, PipJazz, is bringing talented young jazz musicians to the stage for a different learning experience—playing with the pros. Each month (the new season begins in March), in addition to the usual guest artist and house band, producers Pippi Ardennia and Glenn Swanson bring a middle, high school or college jazz student aboard as youth guest artist. And that means attending rehearsals and sound check, performing as the “star” on a couple tunes, backed not by talented peers but by seasoned professionals. It’s a more supervised, planful version of the “academy of the streets” that nurtured earlier generations. Imagine the inspiration for a 14-year-old jazz trumpeter attending a concert where one of the guest stars is a 16-year-old trumpeter on stage with leading area players. Even among these exceptional talents, will they all find jobs? Careers in music? Probably not. But I bet they each find their own voice. And that’s a priceless education.